Get Your WES Activist Calendar 2018 Today! 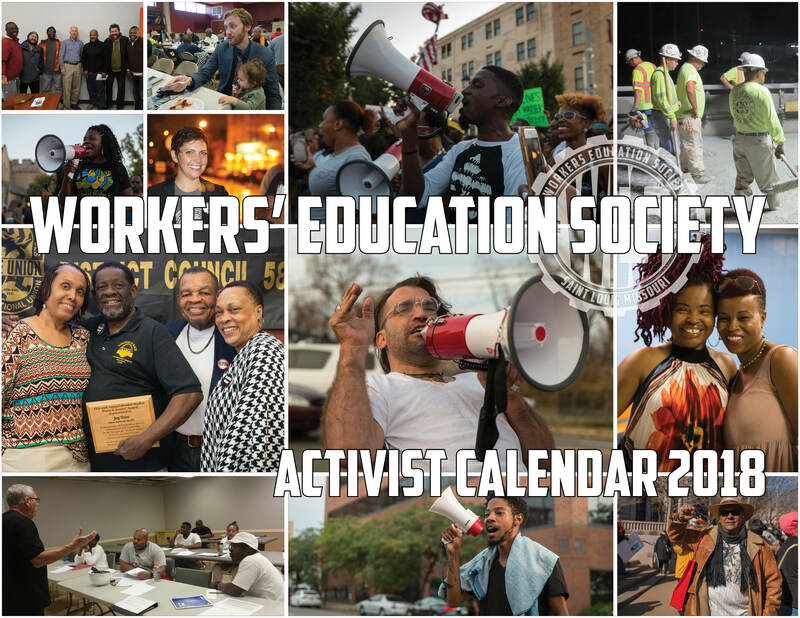 Bring in the new year with the first-ever WES Activist and Labor History Calendar! Donate today to get a calendar reward. This calendar features dozens of photos of St. Louis activist leaders and organization taken at events in 2017. Also featured are key dates in labor history throughout to help us remember our roots. If you become a first time WES sustainer for $10 a month or more you will get a calendar free! Enjoy your new piece of labor history and thanks sustaining the movement! Click the button below to get yours now.